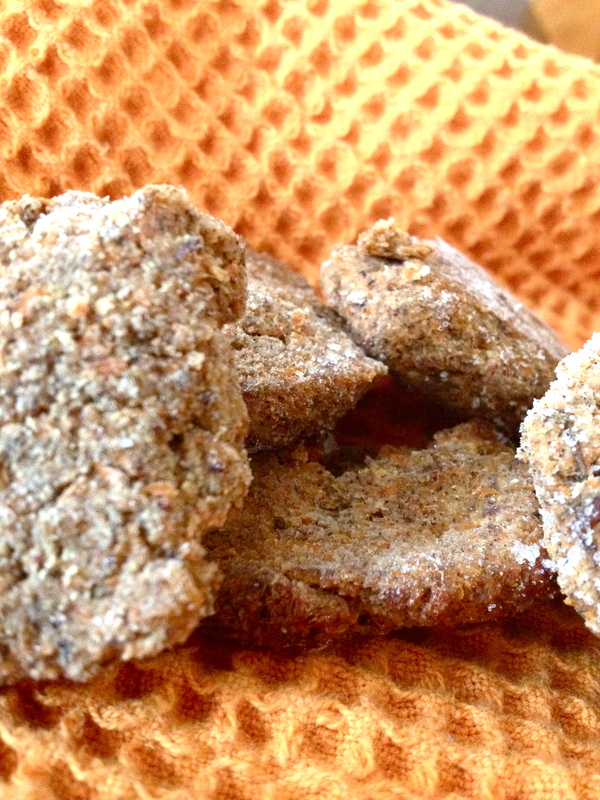 Carrot Cake Juice Pulp Cookies (gf, vegan, refined sugar free) – .rebel grrrl living. So, as you know, I’m kind of into juicing. I drank the juicing kool-aid (er…I guess I can just say I drank the juice? ), and believe that the benefits are unmatched. Promotes detox, healthy skin, overflowing with nutrients (that go straight to your blood, ka-pow! ), etc. The one thing I hate about juicing is how wasteful it feels. All that glorious fiber that we rid during the juicing process often just gets tossed in the trash. Ideally I would have either a dog or a compost bin (or both) to nourish with the veggie remains, but sadly, I have neither right now. So I try to get creative with the fiber as much I can. 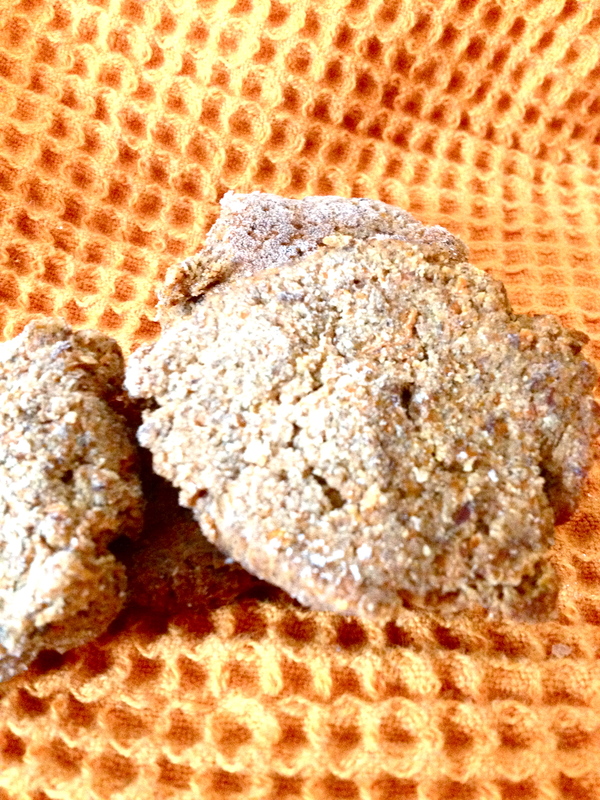 These cookies were one example of how I attempted to preserve the reamains of juiced carrots. If you don’t have a juicer, you can probably use shredded carrots, but you might have to play around with the wet-to-dry ratio, because you’ll have more liquid in the shreddings. These were really yummy, and subtly sweet. My friend described them as sweet biscuits, which may be more accurate than “cookie” because they have a lovely soft and fluffy quality. I also think they taste like early fall. Theme-win, happy Raechel. Preheat oven to 350. Mix all dry ingredients together. Mix wet ingredients in a separate bowl, then combine. Dough should be wet but malleable. Shape into cookie-like shapes and place on prepared baking sheet. Bake for 15 minutes. I really liked these. If you are okay with a little bit of sugar from maple syrup in the morning, they’d make a great breakfast cookie. I was also able to freeze them and re-heat them in the oven without any problems. Are you a juicer? What do you do with your juice pulp? 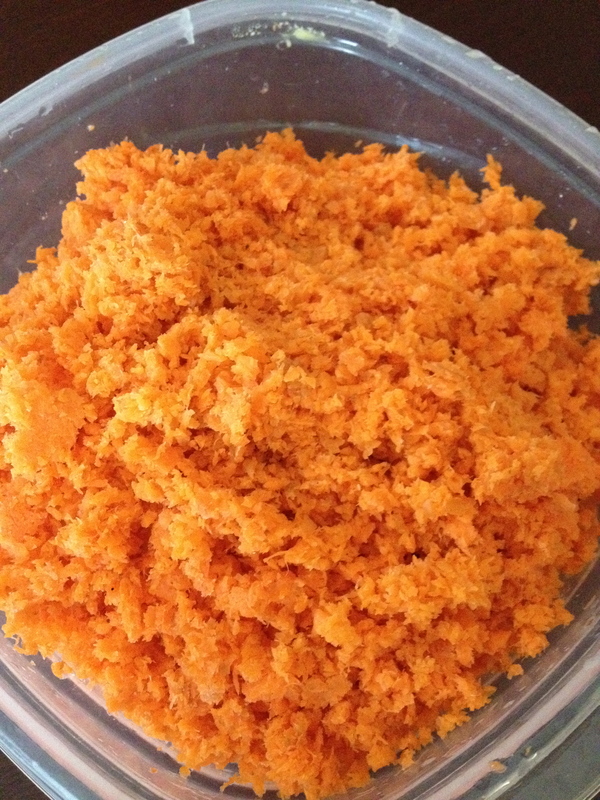 I do juice daily and save all my edible pulp as I use them in Raw Vegan Crackers and & Breads. and my dogs moist food. Do you use a dehydrator for the crackers? I really need a dehydrator! Thanks for sharing! These look great! PS What juicer do you use? I have an Omega…Do you guys have an Omega too? Would it be wrong of me to get a juicer just so I can make these cookies?? ;) But seriously, you had me at “tastes like fall”! The perfect descriptor! YUM…. you know I love this – no wasting food AND a yummy treat at the end :) And yes…. your comment above – GET A DEHYDRATOR – so much fun :) I got a mega cheap one for $30, and it works a treat…. especially for crackers/cookies etc. Oooo…What brand dehydrator did you get? Just a crappy one called Lumere… from a weird supermarket chain we have on this side of the world called Aldi – it works fine though, and for $30 with a 1 year warranty I’m pretty happy. Is it called Craiglist you guys have over there? or Ebay? Check out those for options! WE HAVE ALDI’S! How about that?! WEIRD CHAINS UNITING THE WORLD! And yes we have craigslist, which is a good idea! any suggestions if I don’t want to add syrup.? Maybe just a couple drops of liquid stevia? Let me know if you try it!